She’s such a pink girlie girl! As grandparents we are ‘tickled pink’ to have such beautiful grand daughters. This layout is of our eldest grand daughter, Tannikah. She’s growing into such a beautiful young lady. Obviously Monty loves and misses her lots too. He couldn’t resist poking his nose into the photograph. He does spend all his time with TK when she’s visiting and pines for her when she leaves. Hope you enjoy this page as much as I did creating it. 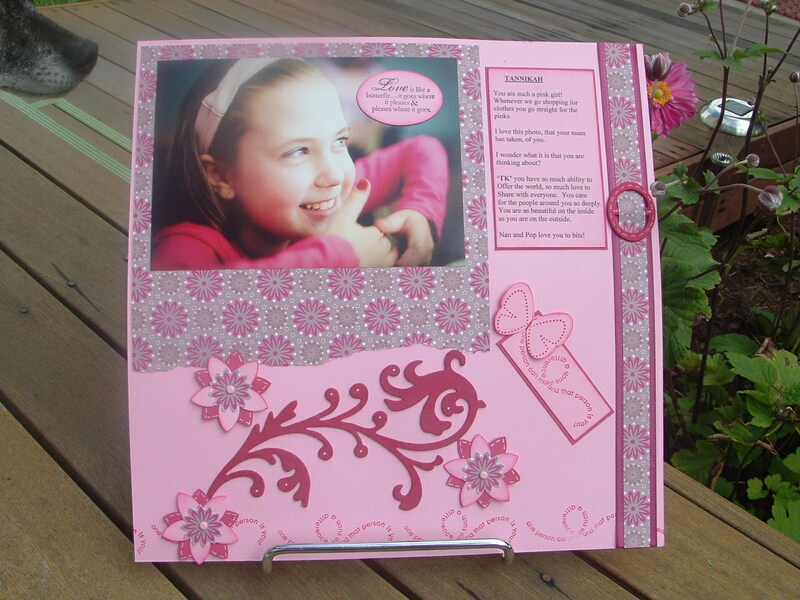 Go you scrapbooker!! Love the page and what a gorgeous photo!